Robin Johannsen Faubion’s nursing career has included work as an RN in California, Washington and Kenya, East Africa (KRN). As a KRN, Ms. Faubion was the Director of Nursing for the Litein Hospital in Kenya where she also worked in the in-patient and out-patient departments. The majority of her acute care nursing was at the University of California Davis Medical Center, a Level 1 Trauma Center in Northern California. Stateside, she has experience in NeuroScience, Trauma, and Pediatrics as well as Community Health and Geriatrics. 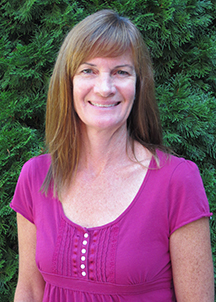 Currently she is a clinical nursing instructor on the Yakima campus of Washington State University College of Nursing and serves as the Simulation Club Advisor. In addition, she is on the Board of Directors for the Delta Chi-at-large Chapter of Sigma Theta Tau, Honor Society of Nursing.